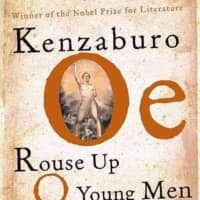 In the afterglow of Kenzaburo Oe’s awarding of the Nobel Prize in 1994, many translations of his works were greeted warmly, but at this remove, it’s striking how many of these books retrace the same Oe themes: dealing, emotionally and practically, with a severely disabled son, while coming to terms with the death of his own father in the final days of World War II. 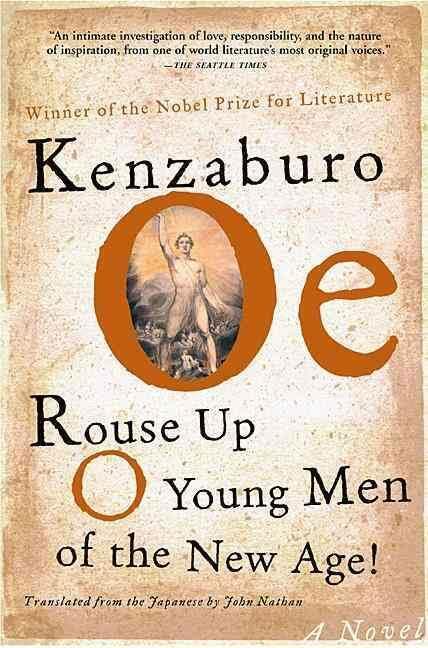 Rouse Up O Young Men of the New Age!, by Kenzaburo Oe, Translated by John Nathan. Worthy and interesting as both these themes are, constantly returning to them can seem like self-indulgence. Yet Oe was always looking for new means to probe these preoccupations. Here, he merges fictionalized familial history with an obsessive interest in the mythological poetry of English poet, William Blake. Lines from Blake’s poetry are liberally quoted and mused upon, and provide the titles of the book and every chapter in it. Its central enigma is the inability to grasp exactly the consciousness of the narrator’s son and we probe this hinterland of the unknown not by merely rational analysis, but by the mechanism of Blake’s poetic visions, themselves attempting to make contact with mysteries. It’s slightly surprising to learn that Oe — a scholar of French literature at university — had such esoteric interests within English literature. He fuses those intellectual stimuli with a fictional rendering of his own psychological life, switching us from the narrator’s son being haunted by Yukio Mishima’s severed head to Blake under the threat of execution for treason in his political opposition to King George III.